Seems unrealistic? Does it seem that I am going to write a rocket-science explanation? If your answer to any or both of the questions is yes, then continue reading. It can use all the features of Windows 7 including the Touch feature. One can get a bigger screen at the same cost of a high-end Smartphone. There are many people who feel like us. 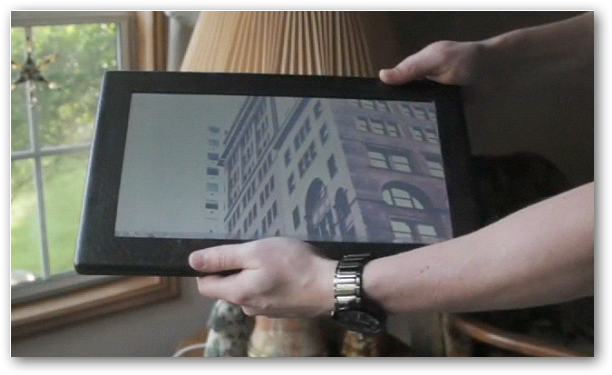 If we had a tablet PC, it would be great for use in day-to-day life. Many of us have to carry our laptop all around to remain involved in online activities. A tablet PC has certain advantages over conventional laptops. It is nearly impossible to hold the laptop while standing and work on it! Either we have to rest it over our lap while sitting down or have to rest it over a firm surface in order to work. Therefore, we started to do a market research about the price and specifications of them. We came to know the specifications and price is in logarithmic scale. Further we noticed, except few, most of them do not sport the features we expected to have. Therefore, we started to search the Web to look for ideas to build a tablet PC of our own. As it always happens, we discovered that we were not alone to think such! 1. Universal screwdriver with changeable heads (for bigger screws). 2. Set of Philips screwdriver (those are used for mobile phone repairing). 4. Sandpapers, of different grades. 5. Plenty of tissue papers and soft clothes. 6. Pliers, lightweight hammer, electric/hand drill with different sized bits. 7. Better to have a multipurpose-meter to check various parts before we are going to switch it on. 8. A pair of protective gloves 9. Many other instruments those are found in the kitchen. 10. Must have some knowledge about assembling a PC. It is not a rocket science; read various forums, blogs, and tutorials to gain more knowledge. Otherwise, accept the help from a friend who is accustomed to this type of project. You can build a new one from some company that sells assembled kits. You can see Liquidware ; you have to spend around $ 400 to get one (quite yummy to us!). They have projects, wiki etc, to provide you enough resources for the whole process. 2. A touch enabled screen that can support the size of the case. Yes, you have to chop out some parts of the crystal cover. We generally use a hand-made heater knife for chopping these types of plastic cases/modules. This is nothing, but a coil is wrapped around the base. Do not try to simulate our way of work, because it often gives us a “mild” electric shock. You can go to your kitchen, find some sharp knife, heat it over the flame and use gently to heat melt it to cut out. This is a better option for most people. There is no restriction to your imagination: you can use any mobile PC motherboard you want! This Article Has Been Shared 9392 Times! What Makes Our Setup Performing Better, this has been asked by an web analyst to us today via email. The reply of the email is a guide for your new website performing like us. Desktop Environment is for the human user of the computer to perform work on an Operating System. Desktop Environment can be Graphical or Command Line Based. Daemon is a term used for Unix or Unix like systems, it runs in the background and provides specific service.In Microsoft Windows equivalent is system services. new tablet for less than that? How does the screen attach? Could you reccomend any manufacturers of the screen and part that makes it touch:? Unfortunately, I can not help much with any manufacturers. Not all brands are available everywhere plus many brands do not sell one single unit. Basically you have to waste 2-3 days searching in different repairing / replacement parts selling shops. 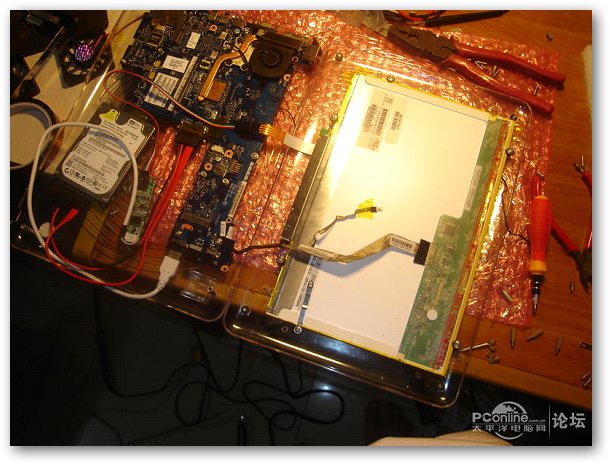 The screen can be attached from the backside using piece of plastic / polymer strip cutting like place-holders (DIY). Make sure to add some padding with some soft material so that it does not hurt the backside of the screen. Where can I buy crystal cover? You have look around the local shops. This will a better bet if you can build your self one than any ARM processor powered cheaper tabs. 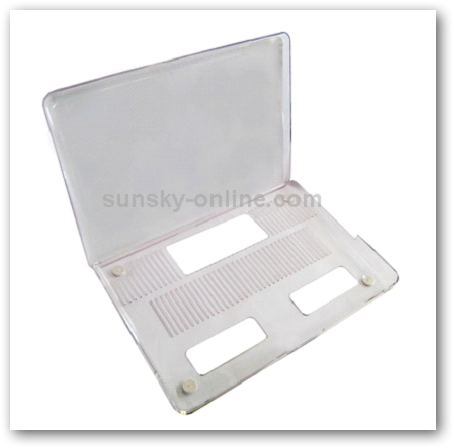 As we have lot of China made tabs available now, may be one can use its body and the screen. I have never opened an Android powered ipad clone, so can not say how the display is connected or rather whether we can use it with our motherboard. 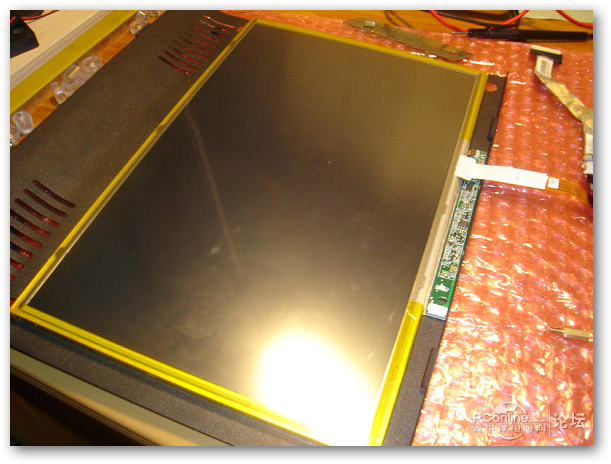 Keep in mind – our Tablet PC will be a bit more thick than the tabs, so chassis might need to be modified. We will search the Internet and write a new version of this post along with the online sources to get the parts. It seems most of us having problems to find the parts for our Tablet PC Project. Your website contained an online Chinese store (http://sunsky-online.com). 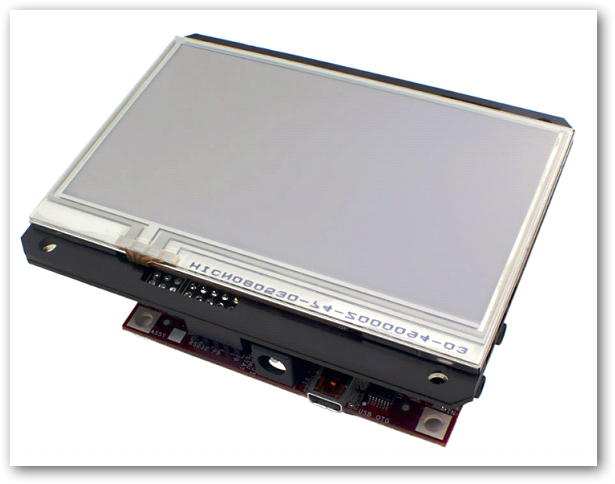 They have resistive touch screen and LED screens; both are listed for under 30usd. Have you have dealing with this site before? My experience with Chinese site has been less than favorable. That was an AdSense Advertisement I guess. You are not supposed to reply like this as a blogger. You should be thankful enough that people are reading it. I liked you article , but after seeing this comment. I must say … you are one of the worst blogger. everything is in good condition, but i want to modify it into tablet. any way i can do it? if i can, how do i do it? will it work in windows XP? what do i need to add in the ?tablet list? to make it work? where can i get n buy the additional part? If it is your only personal computer, do not got in to modification as there is always a chance to get a brick at the end. I am taking it is your alternative computer, in that case you can go for modifications. Specs are quite good if a touch optimized operating system is installed – Windows 7 would work great if there was 2 GB RAM. Multi-touch support in Linux/Xorg/GTK+ is available, you can try that on OS side. With Windows 7 many hardwares would get proper drivers automatically without much searching. For Linux you have to fight a bit. A. Casing needs to be changed to somewhat like I described. It must fit properly everything inside. C. As laptop’s battery is heavier, you might think to power it using matched voltage & mA smaller battery. You can use the laptop’s screen (the old one) with other computer with extra fittings. Probably you will not use the optical drive too. Dissembling HP / Compaq laptop is a bit easier than Lenovo’s, but at some point you might have to fight with a chain saw. Do it very carefully and give it time (days to months) for proper finishing. Try to keep a video of dissembling event as if you need to switch back, watching the video will help to see how they were set. Probably its the most painful part. I will say to check local big cities’ physical shop (near you) rather than online purchase. Online purchase practically means some Chinese online shops. Look at that shop your previous commentator (William Harrison) has mentioned. Important : As the processor will use only passive cooling, always run it below 50% of full processing power to keep it cooler – gradually you can test to increase. 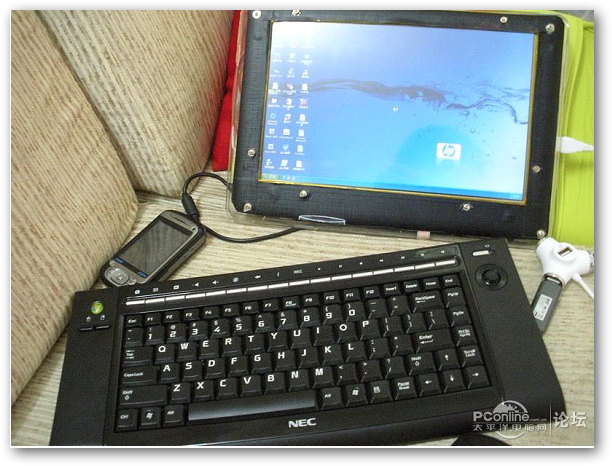 Other option is to make a Swivel netbook / tablet pc. In that case work is to change the casing and screen parts. 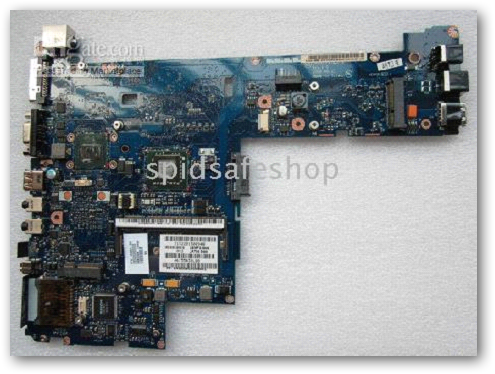 What about a fan for the motherboard? Do I need one? Do I need a fan? If not, can you point me to some thin fan less motherboards? Passive cooling will be used. Setting up a Fan is messy plus it will drain the battery sooner. Is that beagle board (liquidware) alternative to the mobile pc motherboard you have mentioned in step 4? I plan to buy a used HP 6490P (fits my budget) into a tablet to run windows 8.1. Any suggestions/ problems you foresee with this? Also any suggestions on how I can add capacitive touch and pen support would be appreciated. Actually the post was published on the month of January 2011. We are heading to January 2014. At that time, beagle board (liquidware) had very limited options. If you head to the website, you’ll see lot of options now. With lesser budget, you can think about Rapsberry Pi now. Buying an used PC in India (apparent from your IP address), honestly will be risky option. Cite this article as: Abhishek Ghosh, "Build your own Windows 7 powered Tablet PC in under $500," in The Customize Windows, January 22, 2011, April 21, 2019, https://thecustomizewindows.com/2011/01/build-your-own-windows-7-powered-tablet-pc-in-under-500/.